Thick Exercise Mat for multi-purpose use. Our All Purpose Sport Mats are filled with firm crosslink polyethylene laminated with our exclusive Dura-Scrim coating to improve rebound and shock-absorbency. 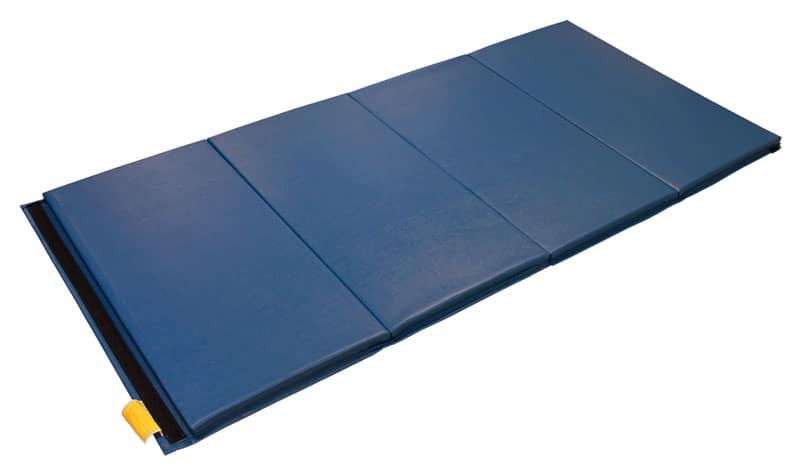 These high quality exercise mats are ideal as martial arts or mixed martial arts (MMA) mats and are great for gymnastics, kids tumbling, cheer and workouts. The outside cover is 18oz heavy duty vinyl fabric, making this a very durable exercise mat. Hook & Loop (like Velcro) fastener will allow two or more of them to connect end-to-end (Hook & Loop (like Velcro) fastener on 2 short sides) or end-to-end and side-to-side (Hook & Loop (like Velcro) fastener on all 4 sides). 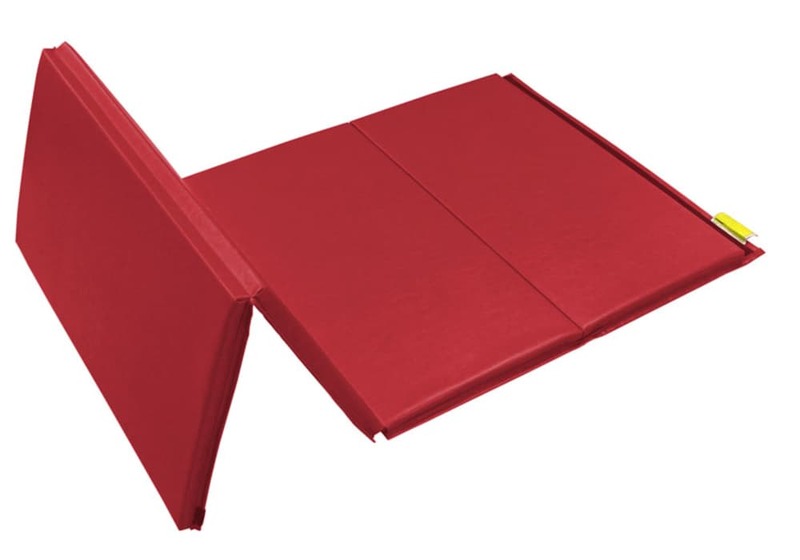 Foldable exercise padding, like these, are also easy to store. Dura-scrim to improve rebound and shock-absorbency. Core made of cross-linked polyethylene foam. Covers are crafted of extremely durable 18 oz. vinyl. Size: 4' x 8'. Thickness: 1-3/4" - providing superior thickness for added comfort. 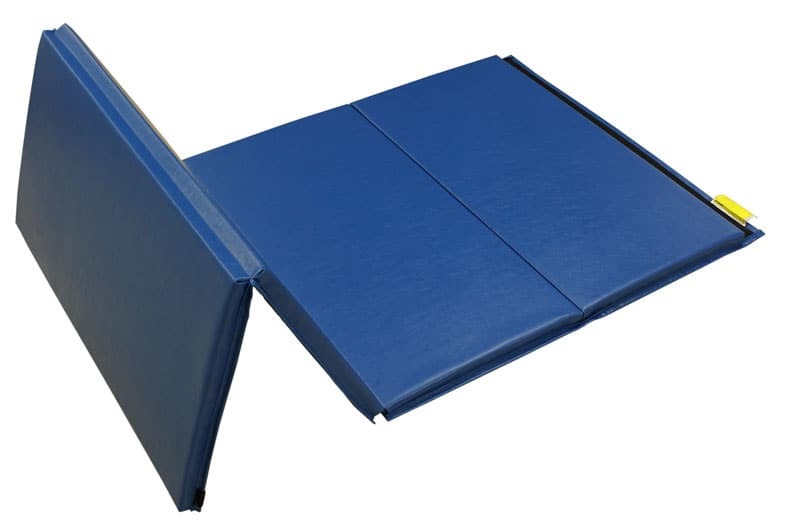 Our All Purpose Sport Mats are filled with firm crosslink polyethylene laminated with our exclusive Dura-Scrim coating to improve rebound and shock-absorbency. The outside cover is 18oz heavy duty vinyl fabric, making this a very durable exercise mat. These high quality exercise mats are ideal as martial arts or mixed martial arts (MMA) mats and are great for gymnastics, kids tumbling, cheer and workouts. Hook & Loop (like Velcro) fastener will allow two or more of them to connect end-to-end (Hook & Loop (like Velcro) fastener on 2 short sides) or end-to-end and side-to-side (Hook & Loop (like Velcro) fastener on all 4 sides). Foldable exercise padding, like these, are also easy to store. Core made of cross-linked polyethylene foam. Covers are crafted of extremely durable 18 oz. vinyl. Hook & Loop (like Velcro) fastener on 2 short sides or all 4 sides. Thickness: 1-3/4" - providing superior thickness for added comfort. Ideal for martial arts, gymnastics, cheerleading and exercise. Available in Royal Blue, Black, and Red.